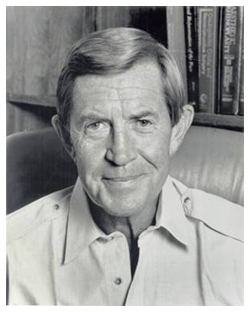 Our founder, the late Dr. Thomas D. Rees, MD, FACS, was a distinguished and widely-honored plastic surgeon. A dynamic and versatile personality, he guided thousands of plastic surgeons throughout his career as Chairman of the Department of Plastic Surgery at Manhattan Eye, Ear & Throat Hospital (MEETH) from 1975 to 1992, as director of the MEETH Aesthetic Surgery Fellowship, and as faculty at the Institute of Reconstructive Plastic Surgery of the NYU Langone Medical Center. Under Dr. Rees' direction, the MEETH Plastic Surgery Department and the Aesthetic Surgery Fellowship became a leading aesthetic surgery service in the world. For over 25 years, he organized and co-chaired an annual Symposium on Aesthetic Plastic Surgery in New York City that features a faculty composed of surgeons of different disciplines and nationalities, and is attended by surgeons from all over the world. Dr. Rees is renowned as the Clinical Professor of Plastic Surgery at the New York University School of Medicine, Chairman Emeritus of the Department of Plastic Surgery at MEETH, a past president of the American Society of Aesthetic Plastic Surgery, and a former director and vice-chairman of the American Board of Plastic Surgery. New York magazine once referred to Dr. Rees as "one of the fathers of aesthetic surgery in New York." One among the first to openly teach the art and science of aesthetic surgery, this personality graduated from the University of Utah with a BA in 1946, and an MD in 1948, from which he received an honorary Doctor of Science degree in 2013. Dr. Rees was trained in general and plastic surgery at the Genesee Hospital in Rochester and New York Hospital-Cornell Medical Center in Manhattan. He established his plastic and cosmetic surgery practice in New York City in 1957. Known and respected all over the world as a great surgeon and humanitarian, Dr. Rees' contributions to the areas of plastic surgery techniques, education, and credibility cannot be overstated. He has also devoted much of his life to providing his skills and extensive medical care to the people of East Africa. He is a co-founder of The Flying Doctors of East Africa and the African Medical Education Research Foundation (AMREF), which are among his most cherished accomplishments. A frequent lecturer at medical institutions, symposia and forums all over the world, Dr. Rees is the author of more than 140 medical articles and six medical texts, including the two-volume Aesthetic Plastic Surgery, which is literally the bible for surgeons in training. He wrote a memoir about his experiences in Africa entitled Daktari: a Surgeon's Adventures with the Flying Doctors of East Africa.